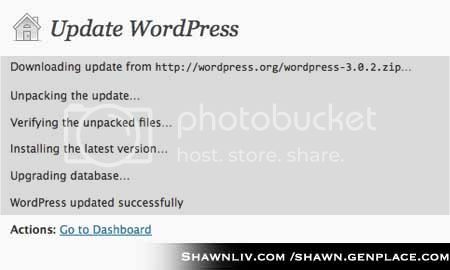 WordPress 3.0.2 is release on November 30, 2010 for upgrading or downloading purpose. Accordingly, 3.0.2 had been fixes is a mandatory security update for all previous WordPress versions. Click here for upgrade guide. Fix moderate security issue where a malicious Author-level user could gain further access to the site. Fix canonical redirection for permalinks containing %category% with nested categories and paging. Fix occasional irrelevant error messages on plugin activation. Minor XSS fixes in request_filesystem_credentials() and when deleting a plugin.